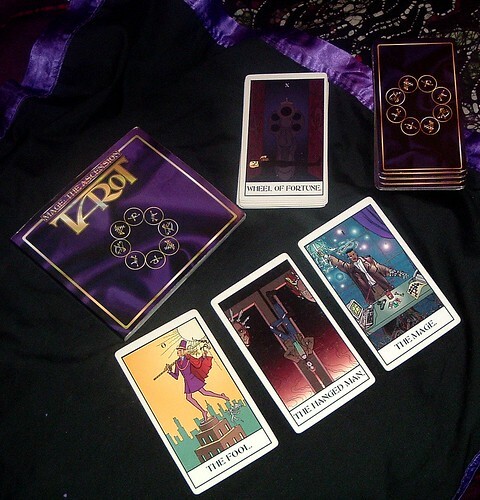 The Mage: The Ascension Tarot deck designed to go along with White Wolf game studio's World of Darkness. The deck is rich in symbolism from their game setting (a world just like ours...except darker and full of secretive supernatural beings). I could probaby give an accurate reading with this one if I tried...but I reserve it for use as a prop in the games.